VSO is now Azure DevOps! Use all of the DevOps services, or pick just what your team needs to complement your existing workflows. Plan, track, and discuss work across your teams so that you can deliver value to your users faster. CI/CD that works with any language, platform, and cloud. Connect to GitHub or any Git provider and deploy continuously to any cloud. The manual and exploratory testing toolkit to ship with confidence. Create, host, and share packages with your team. Add artifacts to your CI/CD pipelines with a single click. Built by the community – access extensions from Slack to SonarCloud to 1,000 other amazing things. Tools for every member of your team. Use the IDE of your choice with plug-ins for Android Studio, Visual Studio Code, and more. A centralized version control system with free private repos. The tools you need to effectively run your Agile team. 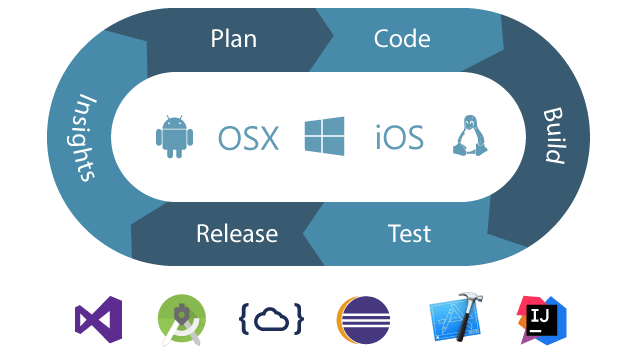 Simplify continuous integration for your apps for any platform or programming language. Make your software lifecycle faster and better with your favorite tools such as Eclipse or IntelliJ. Create rich documents to get your team on the same page.